Welcome to the Spartan Golf Academy at Michigan State University. 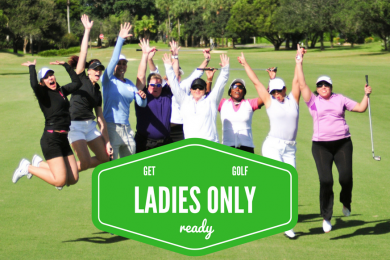 Ladies Get Golf Ready is a program designed especially for ladies ONLY wanting to be introduced or re-introduced into the game of golf. Four (4) - 60 minute classes designed around the core fundamentals of the game to enhance your enjoyment and ability to play. Along with the instruction received there is also an on-course component designed to better your understanding of how and what to do during a traditional game of golf. If you are a UCLUB Golf Member or have a Forest Akers Gift Card, please use the link below to register for Get Golf Ready. You will have to come in to the West Golf Shop to pay for your Get Golf Ready fee. You will get instructions on payment once we process your online registration.